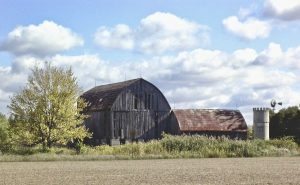 The original location of the 1860 barn and 1913 tack shed in Cold Stream Ontario on the Jone’s family farm. The wonderful structures that form the architecture of the brewery and tasting room are depicted to the right in their original bank barn dairy use and orientation. If you come to the brewery now you’ll see that we’ve altered the orientation and added a eave but otherwise the place is the same hand hewn wooden beams and unique laminated roof rafters tell a story with every adze swing. 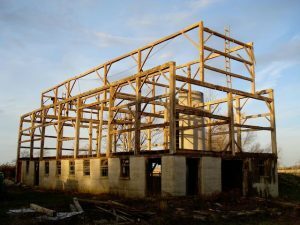 The barns were disassembled and trailered a 130 km to their current location in the Charlotteville Township of Norfolk County. The barn changed jobs from one libation to another, dairy to beer. Toni Vanmilligan, Wade Davies, Sean, Paul, Jeff and a few others painstakingly took this inverted arc apart saving the tin shingles, the square nails, and the original dowels that held her together. There wasn’t enough good barn board on the larger structure to adequated reclad it so we gave it a new covering of 1”x12”x16’ barn boards which have already started to age nicely. We even saved the tin shingle roof which the builders refused to reuse on the new location encouraging us to use new stuff. In the recycling spirit Tim’s dad donated all the galvanized aluminum from his former mink ranch operation. Believe it or not the current roof is already 35-40 years young! Looking south ‘through’ the barns gable end, one can easily see the ship builder’s influence in the design and look of this beautiful piece of wooden architecture. 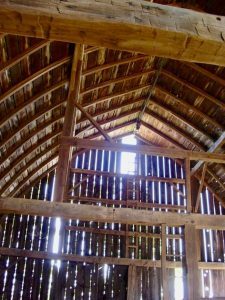 The wooden floor of the bank barn wouldn’t due for a brewery so we set the barns on grade and sacrificed the dairy keeping all the wooden floor and joists for tables, floor coverings, rails and artifacts you will see in the new space. We now have heated concrete floors with drains in the right places. In the recycling spirit we procured some very old red clay bricks that cover all the public and kitchen spaces in an enticing herringbone design. 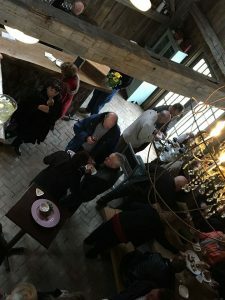 With locally sourced iron and welding work, an on site oak tree provides the 3″ live edge bar, and of course people with good brews in hand complement the scene. 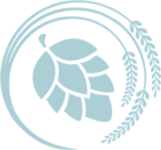 We opened the doors to our Tap Shed (formerly the tack shed) on July 1, 2018 offering three great brews designed by Melanie the brewster and her team, James Grant and Jon Downing. The original line up includes a locally inspired pale ale called Local 519, a hopped up India Pale Ale called Hopsy Dazey, and really nice, smooth, and surprising stout we call Velvet Devil due to it’s deep dark look but it’s heavenly undertones. All our beers use hops grown onsite in the neighbouring Carolinian Hop Yard. If you come in August you are welcome to come out to see the hops in their natural state. In the coming weeks, Melanie will introduce her new beer, the IRA, Irish Red Ale that will blow your tastebuds off. This year our kitchen is in formation and the garden is being laid out with the goal being to bring our produce into the kitchen and offer wonderful accompaniments to our brews. For now we have finger foods, charcuterie, homemade preserves, that are all down to earth, dam fine, and come with an unpretentious chef’s flair. We invite you to come and taste our offerings. 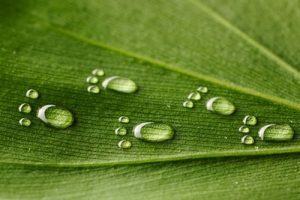 As we are so new, you will find things are constantly in a state of motion. New beers, new hours, new staff, and new artifacts to draw your attention when your whistle has been moistened. The owners, brewster, chef, and hop farmer (Melanie and Tim) invite you to come to their estate brewery on their family farm. You will leave with a return invitation, smile, and the lingering great taste of their offerings.